Once-fatal pet diseases are now treatable, yet can be expensive. Pet insurance makes these treatments affordable, providing peace of mind for pet owners who want their pet to get the best treatment. Most offer discounts when insuring one or more pets, purchasing when your pet is young, or for purchasing a six month or yearly plan. 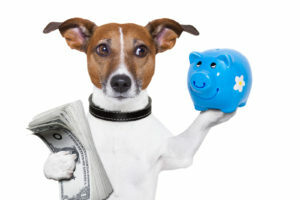 The bottom line: If you buy pet insurance and don’t use it, consider yourself lucky. But with pets living longer these days, your chances of using the policy are greater than ever. We recommend using Pet Insurance Review to compare the most common pet insurance companies. They have separate pages for Cat Insurance and Dog Insurance. Dupont Veterinary Clinic can submit claims to any insurance company for you, which can speed up reimbursement and mitigate some of the headache that might be involved when dealing with insurance paperwork! We also offer healthy pets a 30-day trial with Trupanion. To access the FAQ page for the 30 day Trupanion trial click Here. Trupanion Direct Reimbursement: For clients with Trupanion coverage, we submit claims directly to the insurance company at the time of checkout. This means that on the day of your visit you only pay what you owe after insurance is applied!